2017 Houston Pride Parade® – Pride Houston, Inc. Both the 2017 Houston LGBT Pride Festival® and 2017 Houston LGBT Pride Parade® will take place today- rain or shine. Forecast shows rain chances decreasing substantially during the Festival. The Houston Pride Festival® and Houston Pride Parade® are at the center of the Celebration with an attendance of over 500,000 people every year from all over the world. Come and join all of the LGBT Community in celebrating who we are as a people and how much more we still need to FIGHT FOR. 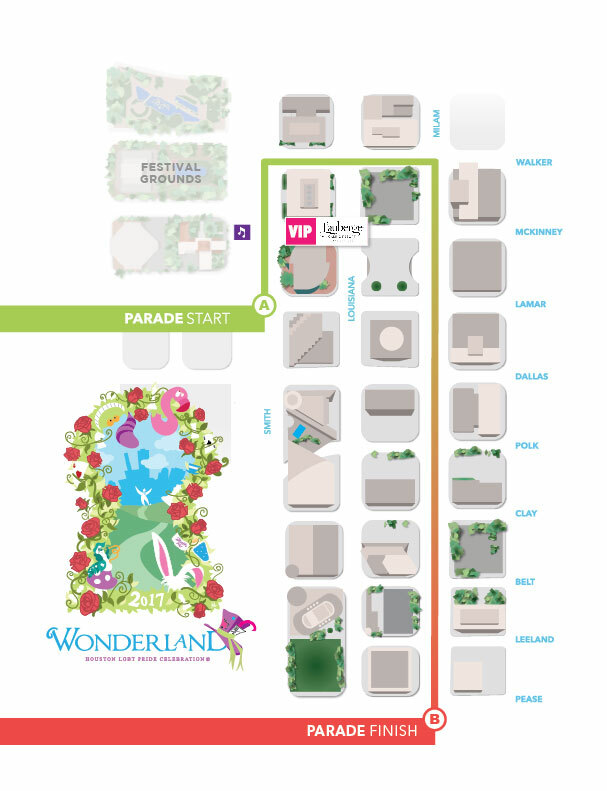 Parade Route: Begins at Smith and Lamar, Continues down Smith St until Walker where it will make a right turn, continues down Walker until Milam St until Jefferson St. Pride Houston®, its Sponsors and Promotional Partners that if you choose to drink on this day please drink responsibly.